Hey guys!! I’m Beth. I am a Certified Nutritional Therapy Practioner (NTP), yoga instructor (500-RYT), wellness warrior, adventurer, artist and a lover of all things yummy! I have been 100% gluten-free since January 2005, after discovering a severe intolerance due to autoimmune conditions. In 2010, I was inspired to create Tasty Yummies after I took some major steps to significantly change my diet and my life! 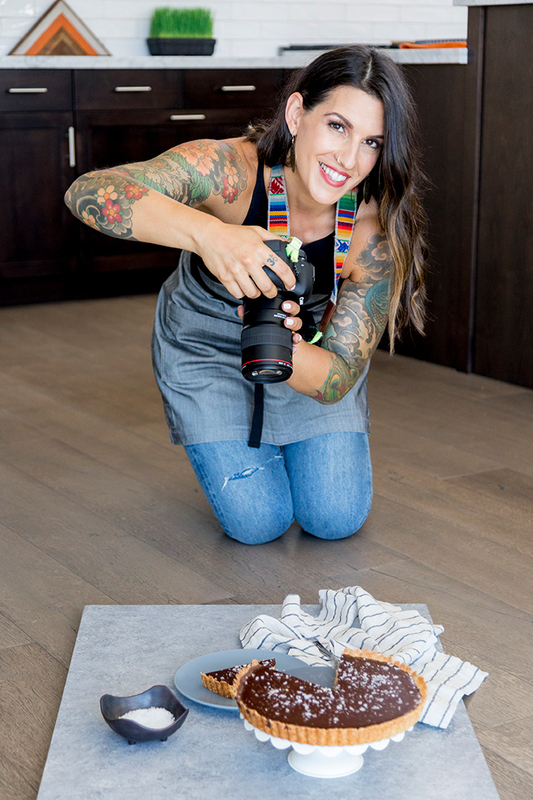 In this space I have cultivated, I have felt called to share my journey over the years, my stories and my creations in the kitchen as a means to (hopefully) inspire you to make healthier choices and like me, to feel empowered to take control of your health and vitality to achieve your health goals through sustainable, lifestyle shifts and life-long habits. Like many of you, my path to wellness was unpaved and at times quite rocky. It’s been years of trial and error, sometimes having answers and clear direction on the next steps, but for much of the time it’s been unknown, it’s been tests, elimination diets, protocols, confusion and disappointment. From discovering a severe gluten intolerance to an autoimmune form of kidney disease. From healing my gut from bacterial overgrowth and a parasite to dropping other people’s rules and relearning how to truly nourish my body with the nutrient-rich foods it needs to flourish and thrive. I’ve learned to develop daily self-care practices, to heal my spirit by incorporating mindfulness and energetic healing and most importantly, finding space to practice gratitude and honor this body for all that it is, no matter where I am at in my healing. I believe in listening to your own body, eating intuitively and living without labels. As I continue to battle my own autoimmune illness, I have chosen to heal my body naturally, by making healthy choices every single day, through lifestyle and diet by choosing the foods and movement that will nourish both my body and my soul. While I refuse to label myself and my diet, you will find that many of the recipes on Tasty Yummies fit the most common dietary approaches – there truly is something for everyone here. Tasty Yummies is built around the idea of honoring the sacred self and nourishing individuality. No matter your chosen path or where you are at in your own healing journey, if you are at all, my goal is to inspire you to get creative and feel inspired by your food, to look at vegetables, fruit and other whole foods in a brand new light. I hope to encourage and empower you to create your own journey to health by listening to your inner voice and the primal intuition that is always there to guide you. 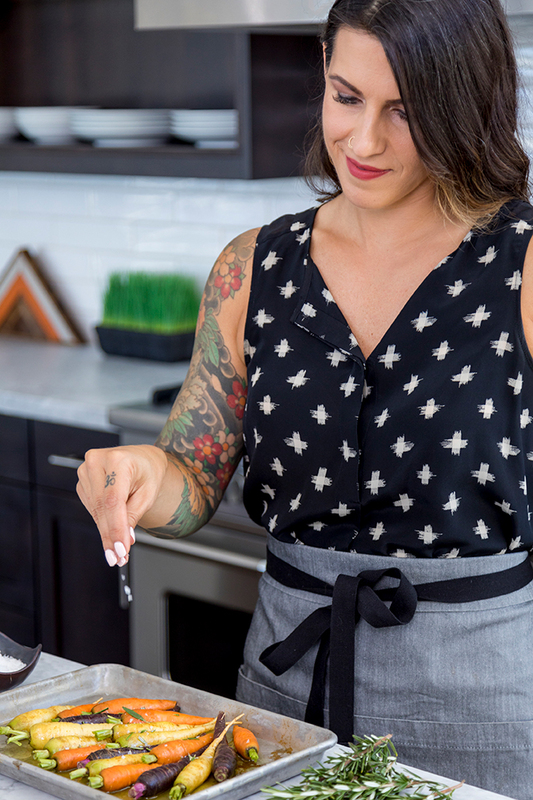 If you wanna hear more about me and learn about story, how I got started with Tasty Yummies and more – Listen to Episode One of the Between Meals Podcast. I want Tasty Yummies to be a space and a community, for anyone who wants to feel good, heal their body and eat well, no matter what their dietary challenges may be. Bringing personal experience, knowledge, empathy and humor to the goal of living and eating well with intolerances and allergies, I am a firm believer in the power of foods that heal and the value of home cooking. Packed with nourishing, whole food, gluten-free recipes, valuable tutorials and how-tos, health and healing advice, and inspirational stories, Tasty Yummies is all about celebrating real food, health and community. I have contributed series to Free People Blog BLDG25 and Simply Gluten-Free Magazine. My work has also been featured in GFF Magazine, Better Homes & Gardens, America’s Test Kitchen, Huffington Post, Clean Eating Magazine, The Kitchn, The Greatist, Cosmopolitan Magazine, Parade Magazine, Go Gluten-free Magazine, Where Women Cook Magazine and many more. I hope you enjoy Tasty Yummies as much as I enjoy sharing it with you! If you are interested in learning more about partnering with me, I’d love to hear from you! Please click here. For general questions and inquiries, please click here. Looking for One-On-One Nutritional Therapy Services? Read more about the services that I offer for my 1-on-1 clients or contact me here.